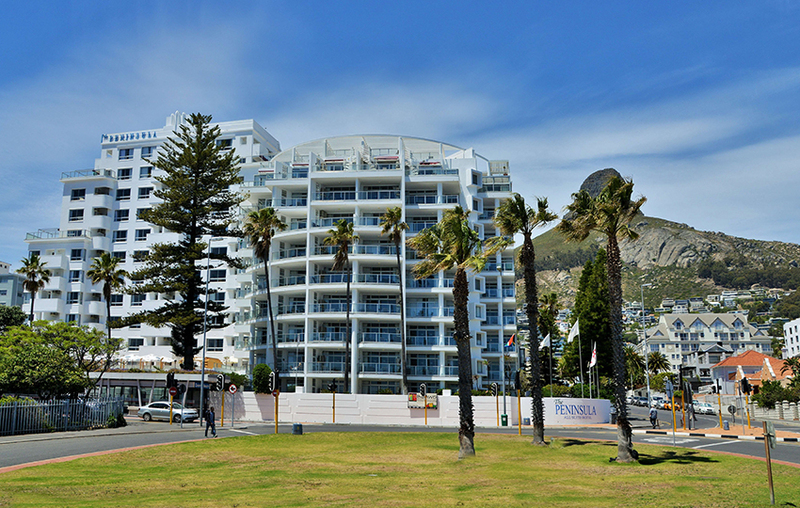 The Peninsula All-Suite Hotel has a prime seafront position where Sea Point meets Bantry Bay in Cape Town. Choose from a range of suites, some sea-facing and some offering equipped kitchens, lounges and second bedrooms. The popular Sea Point beachfront and promenade are right on the doorstep, with Cape Town’s premier beaches, city centre and waterfront close by. Facilities cater to both leisure and business guests, and include a sunset deck and swimming pool, cocktail bar, restaurant, gym / sauna, and free shuttle service within an 8 km radius. There's currently no specials at Peninsula All-Suite Hotel. The Peninsula All-Suite Hotel has an Executive Boardroom and the 100-seater Society Room for business gatherings and events.